There were just three minutes on the clock when the Warriros fans were silenced as Brett Morris wriggled out of a three man tackle on the Wigan twenty metre line and went over in the corner. Sio Siua Taukeiaho was unable to add the touchline conversion but it was the perfect nerve settling start for the Roosters. On eight minutes Morris got his second after muscling over the line and grouding over his head as the four Wigan defenders failed to hold him up over the line. Taukeiaho was on target from the same spot as his earlier miss for a 10-0 lead. Wigan benefitted from some Sydney indiscipline and back-toback penalties which saw Oliver Gildart create a gap to put Tom Davies free to run down the right wing and dive over in the corner. Zak Hardaker pulled his conversion attempt across the front of the posts but the Warriors were on the board. Thirty one minutes were on the board when the Warriors nemesis Morris got his hat-trick try, again running the angle and stretching out an arm to score while on his back. 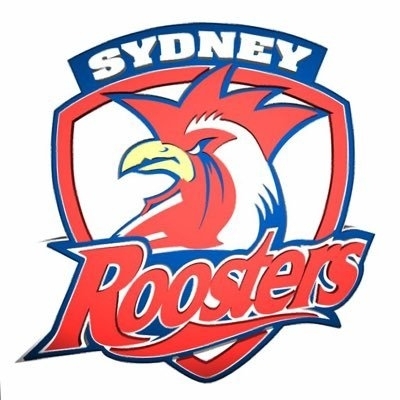 James Tedesco couldn’t add his kick to the points tally, Sydney Roosters 14-4 ahead. The Warriors had held on to be trailing by just ten points at the interval and had given their visitors some food for thought but the Roosters were deserving of the lead in a half of rugby which they had controlled. The Warriors would need a stronger second half performance. It was a thunderous start to the second half, with some excellent Warriors defence, with the sides remaining scoreless until the hour mark when the Roosters were given a penalty. Taukeiaho kicked the penalty goal from thirty metres for 16-4. On sixty-four the Warriors were handed a lifeline after a wide George Williams pass went to ground but was picked up superbly by Liam Marshall who ran ten metres and dove for the corner flag and grounded one-handed. Hardaker pulled his kick to the left of the uprights, his side still eight adrift. The Roosters steadied their nerves and set about taking the game back to Wigan. On seventy-six the Australians sealed the win when Daniel Tupou collected a Luke Keary kick to the corner as Tom Davies failed to get his jump off the ground. Taukeiaho failed to add the conversion from the touchline but it no longer mattered. Wigan were never really in the game but defensively they moved mountains to keep the Sydney Roosters down to just four tries and twenty points. The Roosters have now won the World Club trophy on four occasions, equalling the Wigan record, and they remain undefeated in this competition. There is certainly a distance between the skill and intensity of Super League and the NRL, but all credit to the grit and determination shown by the underdogs in Cherry & White, against a truly awesome opposition. Warriors: Hardaker, Davies (T), Sarginson, Gildart, Marshall (T), Williams, Leuluai, Clubb, Powell, Flower, Greenwood, Farrell, O’Loughlin. Subs: Navarrete, Isa, Hamlin, Bullock. Roosters: Tedesco, Tupou (T), Manu, Morris (3T), Ikuvalu, Keary, Cronk, Warea-Hargreaves, Friend, Taukeiaho (2G), Cordner, Aubusson, Radley. Subs: Liu, Tetevano, Collins, Butcher.